I’m back at home, and over the next month or so, I am looking forward to continuing my blog series on keeping a travel sketchbook. I considered trying to do this while travelling, but it is so much easier, and I can provide better image quality at home with my scanner. So thanks for your patience. I’m excited to share my adventures with you! Above: watercoloring on the airplane, My flight to China (we spent the first three hours flying back north to Alaska), dinner in Guangzhou, Hanging out at the airport - I remember when I was a kid I was envious of all the big planes going far away places. Zen Drawing – I’m bringing along this book, Zen Drawing, Zen Seeing, by Frederick Franck on Zen Drawing. I plan to read the book and try out some of his simple drawing exercises. The main gist of Zen drawing is slowing down and putting your energy into the process, not the outcome or final drawing. Depending on what I get out of the book I might share some more about this later. I’m particularly interested in reading more since I’m travelling to countries where Buddhism is practiced. You could pick any book that speaks to you about drawing or sketching and bring it along for inspiration. Zentangle – In the spirit of Zen drawing above, I figured it would be fun to try the “Zentangle Method”. This is a process, and I printed out some instructions I found online. It is completely different from my normal method of drawing but I thought it might be fun to try on a plane. Draw Mandalas – I might have gone off the deep end with my enthusiasm for Zen art, but seriously this can be fun and relaxing. I’ve drawn some mandalas before and I really like infusing them with my own style of drawing. 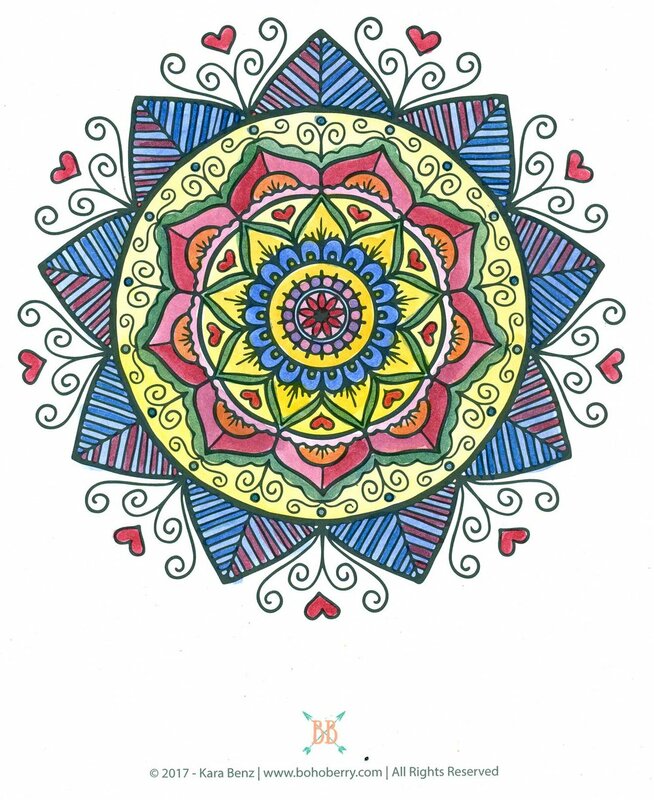 Kara Benz at Boho Berry has a good youtube video on drawing mandalas as well as a template that you can download and use. I will draw mine on watercolor paper with waterproof ink so that I can color them in with watercolor (see below). Color with watercolor – You could get a coloring book and color with markers or pencils, but I enjoy this more! It’s a great way to use your watercolors if you got a new set or are learning. But even as someone who uses watercolor quite a bit I think it can be good to do. Draw an abstract shape, use a mandala you drew above, or print out a coloring page design on watercolor paper. Then just color it in with watercolors. Practice letting your washes dry and layering more washes on top. See how the different layers interact. The fun of using watercolor is that they are transparent. For an extra challenge limit yourself to using the three primary colors (magenta, blue, and yellow) and mix other colors from them by mixing them together in a palette and/or by layering them on top of each other. Learn a new tool - On that note, try out any new supplies you got for your trip or a new technique. I am brining my ipad along and might practice drawing and sketching on that. Draw a map – I know I love drawing maps. Check out my post about creating an overview map. Since I already did that I printed out a map of Hanoi, which is the first city we are going to. I can make my own illustrated city map to get an idea of the geography there. My plan is to create this map and then add some sketches on top from places as I visit them. Do some origami – This isn’t really related to sketching, although you could sketch on some thinner paper and then make origami out of it. It just seemed like a fun thing to do on a plane. I printed out some origami instructions to bring with me. Journal – Pretty self-explanatory. I’m keeping a written journal separate from my sketchbook. I might write about what my hopes and expectations are for my trip. I think it could be fun to look back and read this on my way home, and then journal some more about what surprised me. 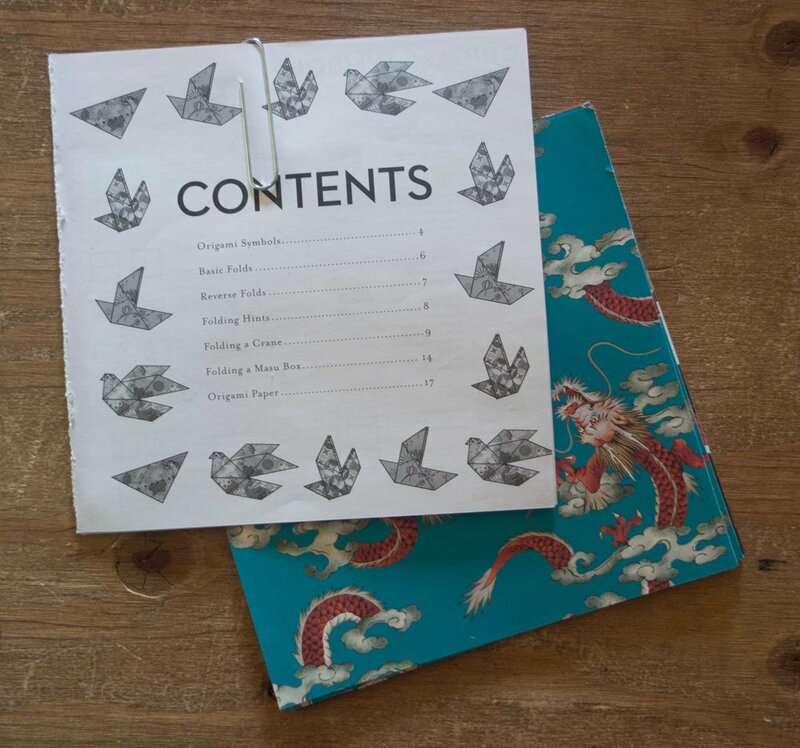 Write letters or postcards – yes even before you get there! People always enjoy getting mail. Research where you are going – Get or download a book, or print some things off the Internet. I’m going to look for a few resources on Vietnamese and Cambodian art history, in addition to the Lonely Planet guidebooks I have on my kindle. I tried to give myself more things than I will probably actually do, so I can choose what I want to do depending on what I feel like. I don’t feel any pressure to do all of this, but it’s nice to have some options (and I have another long flight on the way back! ).